With our powerful video maker & video editor tool, there’s never a dull moment. What Instagram does for photos, Mideo does for videos - you can easily apply creative camera lenses to add your own personal touch. Mideo can easily capture selfies with various video effects. When you install Mideo you access more than a simple app, you actually join a social video community of tens of thousands users with similar interests. ❤ Meet and chat with new friends by sending comments on videos. ❤ More effects, stickers, texts, fonts and filters added. ❤ Video trimmer added to enable cut videos quickly. ❤ Enhanced user experience and better performance to add photos from mobile gallery. ❤ Share short videos directly to Facebook, Instagram, Twitter, Vine, Whatsapp, Google+, Tumblr and other social media networks. ☆ Best social experience. It’s easy for you to express yourself by leaving comment on the videos you love the best, meet and have instant chat with new friends under the videos. ☆Explore the world of short video Check out what people are up to. Explore puppy, cutie, funny, selfie videos and all the short video show you love. ☆ Powerful video editor. With Mideo you get access to professional video editor that let you create the perfect shareable short video show. Quickly trim and merge video clips, include powerful messages using cool fonts with special effects or stickers, add your own music, apply filters and more. Mideo helps you create stunning video slideshows with just a few taps. Use photos from your gallery and combine them with built-in background music (or your own) for different tastes from Pop to Dub, with the purpose of creating the perfect slideshows. ☆ All materials free to download. Special video movie effects including Animated Stickers/FX/Texts/Fonts, and brand new design of exquisite filters in different 6 scenes, download filter pack by one click. Your created short videos can be easily exported to the gallery but also shared with friends (outside Mideo) via social networking. If you like the Mideo App, remember to give us 5 stars:★★★★★! If you have any problems, please feel free to contact us: mideoshow@gmail.com. 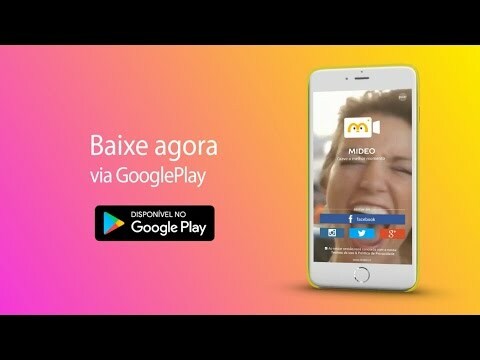 Stay connected with Mideo - short video show app and explore fun videos! Welcome to Mideo(“Mideo,” “we,” “us” or “our”). Mideo is a short video entertainment community and that allows you to create, discover short video show . Make everyday moments into your own short video show as you want with Mideo free video editor,share them with your friends & family. User Content (e.g., photos,videos and other materials) that you post through the Service. Communications between you and Mideo. For example, we may send you Service-related emails (e.g., changes/updates to features of the Service, technical and security notices). Note that you may not opt out of Service-related e-mails. When you use a mobile device like a tablet or phone to access our Service, we may access, collect, monitor, store on your device, and/or remotely store one or more “device identifiers.” Device identifiers are small data files or similar data structures stored on or associated with your mobile device, which uniquely identify your mobile device. A device identifier may be data stored in connection with the device hardware, data stored in connection with the device’s operating system or other software, or data sent to the device by Mideo. A device identifier may deliver information to us or to a third party partner about how you browse and use the Service and may help us or others provide reports or personalized content. Some features of the Service may not function properly if use or availability of device identifiers is impaired or disabled. We will not rent or sell your information to third parties outside Mideo (or the group of companies of which Mideo is a part) without your consent, except as Parties with whom we may share your information: in this Policy. We may share User Content and your information (including but not limited to, information from cookies, log files, device identifiers, location data, and usage data) with businesses that are legally part of the same group of companies that Mideo is part of. Any information or content that you voluntarily stylize with the Service, such as User Content, becomes available to the Mideo anonymously. Your information collected through the Service may be stored and processed in the Brazil or any other country in which Mideo. We use commercially reasonable safeguards to help keep the information collected through the Service secure and take reasonable steps to verify your identity before granting you access to your account. However, Mideo cannot ensure the security of any information you transmit to Mideo or guarantee that information on the Service may not be accessed, disclosed, altered, or destroyed. Please do your part to help us. You are responsible for maintaining the secrecy of your account information. Your privacy settings may also be affected by changes the social media services you connect to Mideo make to their services. We are not responsible for the functionality, privacy, or security measures of any other organization.